As an impatient person, the one lesson I’ve had to learn over and over in life, is that things take time. And if this was a hard concept to grasp when I was a teenager, it’s only got worse in a world of two-hour-deliveries and one-click purchases. As a child, if I was doing homework my dad would get the encyclopedia out (gloriously heavy, leather-bound, gold-rimmed pages) and actually skim through centuries of information to look up how Nero once made his horse a senator. That information is now so readily available that the very act of waiting has become alien to us. 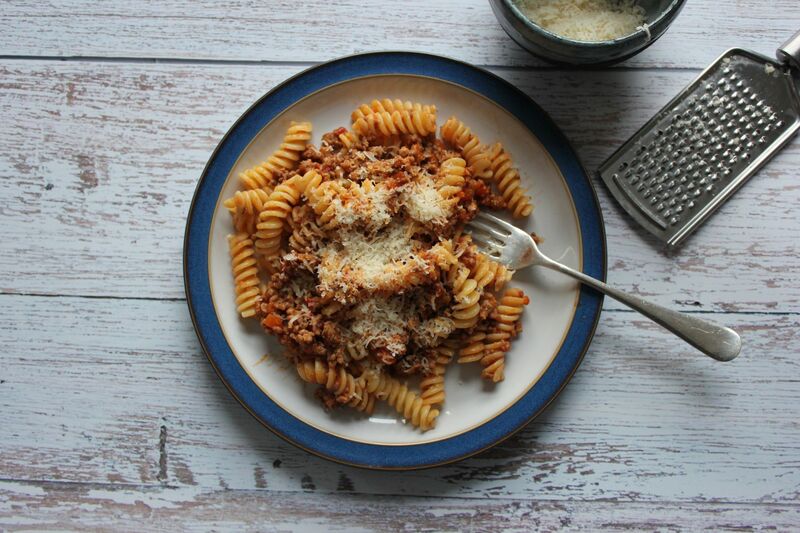 An Italian ragù sauce (the kind where minced meat is simmered over low heat for a long time, which you may know by the name of bolognese or bolognaise) is a wonderful lesson in this: taste it after it’s been cooking for ten, twenty, thirty minutes, and it’ll be no more than tomatoes and cooked mince. But wait one or two hours and it will have transformed into a brown-hued, velvety blanket of savoury comfort. I’ve been making ragù my whole life, but it was never the “authentic” sauce from Bologna. 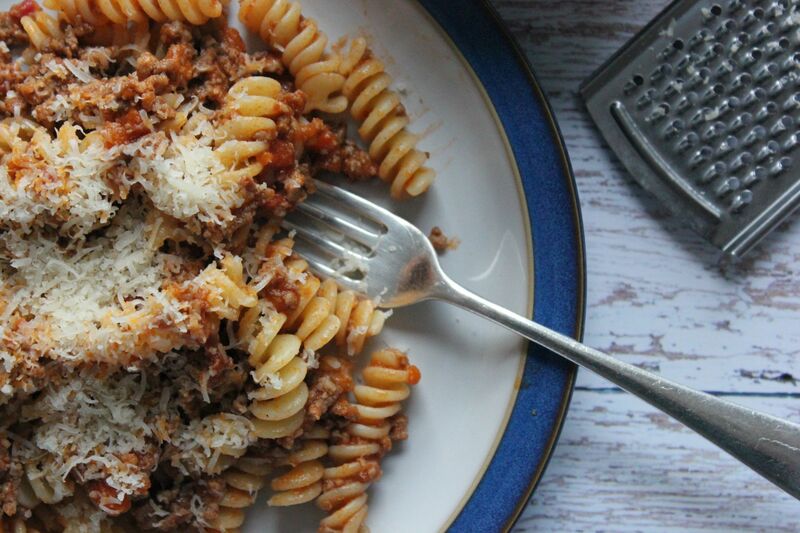 I would just make my mum’s ragù, the one I grew up with. About a year ago, I decided that in the name of research I would embark on a labour-intensive mission to make the real ragù. I researched the topic incessantly, discovered genuinely shocking facts (it needs milk. Milk) and set out to waste a good ten hours of my life and more money than I wish to disclose. I was well-prepared. I had good quality fatty pork and beef from Farmdrop and sausages from an Italian market. I chopped the soffritto veg so finely I developed a callous. I had organic local whole milk for the final touches. Mutti passata. I had fantasies of this oversized pot gently bubbling while I watched TV and sipped on a glass of red wine wrapped in a blanket, and I suppose I got carried await with the drinking-wine-in-a-blanket-part, because by the time I remembered about the ragù, it was burnt beyond repair. Now, if you are thinking that burnt ragù sounds a little whimsical and maybe even edgy-cool, like the “burnt toast” or “burnt butter” that grace Scandi-chic restaurants, you are very wrong: it had a distinct ashtray note to it. I didn’t cook ragù for a good year, too afraid that the bottom of the pan would get me. Again. So I went back to basics. I went back to my mum’s ragù. 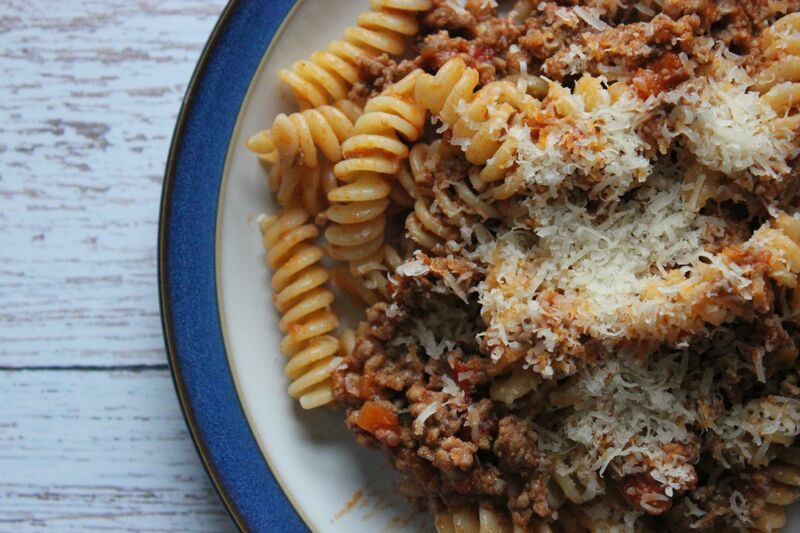 Except – this is my mum’s ragù, but at the same time it’s no longer hers at all. It bears similarities with the one she would make on a Sunday morning while us kids coloured within the lines or dressed paper dolls; but like me, it’s moved away and it’s grown and it’s changed into something a little different. At Christmas, as we made ragù together, I suddenly realised that her recipe had shifted into my recipe. It was a little like going back to a childhood place and discovering it’s much smaller than in your memories. I confessed I put butter in my ragù. She’s still a little angry about it. Chop the vegetables very finely. In a large thick-bottomed pan, let the vegetables sweat in a little olive oil on medium heat, until soft. Then add the meat and let it brown. Don’t add salt straight away (it will draw out water). Once browned, add a little salt, pepper and the wine. Lower the heat, add the tomato and let this cook off for at least an hour, but up to two, covered. I’d recommend tasting after an hour or so and adding some more salt if needed. Feel free to top up with hot water so that the meat is just covered. After a couple of hours, remove the cover and let the sauce thicken slightly, until it’s creamy but not liquid. Add a little butter and stir off the heat. Serve with pasta. It freezes very well.